Sellwood Mixed Use is a new, multi family housing project consisting of 230+ units at market rate. Construction broke ground August, 2017. Located on SE Milwaukie Avenue, the building includes a steel and timber framed retail ground floor. 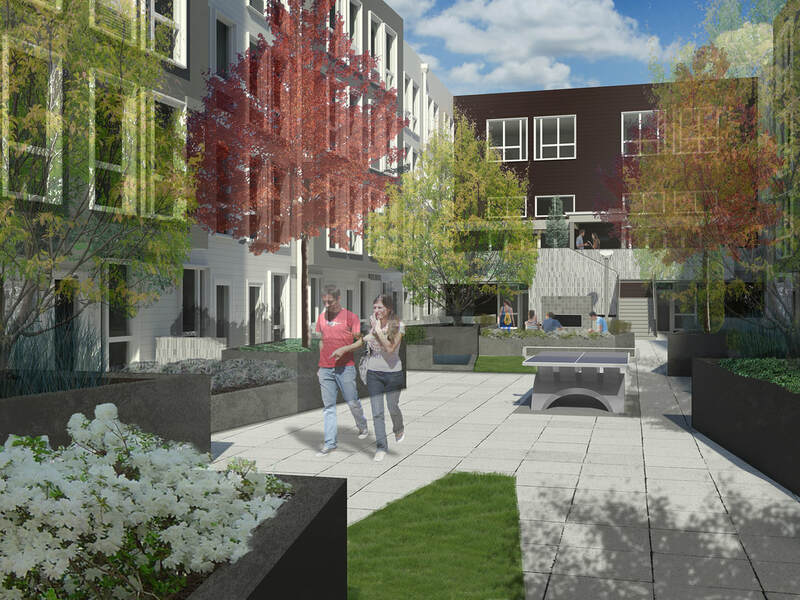 Sellwood Mixed Use will have a large, central courtyard available to all residents. The outdoor courtyard will feature planters, cooking areas, a fireplace and a ping pong table. A large indoor gather space with kitchen, fireplace, and lounging areas will be connected to this outdoor courtyard. Some of the units that face the courtyard feature their own, private outdoor spaces. The building includes a below-grade parking garage, with bike storage, leasing office and mail center at the lower level. The larger corner apartments will have superb views of the bustling street life in this area and the mountain range beyond.